There are at least two groups currently offering, or announcing plans to offer, Amateur Radio classes for folks wishing to study for their Amateur Radio license, or to upgrade to a higher class license. Below is listed the information of which we are aware of at this time. Please note that classes start periodically year round. Most classes typically last for either one day crash course on a Saturday, or 6-8 weeks with weekly meetings at least one night per week for a couple of hours each time. One hint: If you don't study in before and between the classes, you are wasting your time, your money and the instructor's time, so don't waste it! Local ham Paul Guido, N5IUT, has developed an excellent study guide for the prospective ham operator to use when preparing for their exam. This 100+ illustrated page guide is available here or from Paul's web site found at radioteacher.googlepages.com free of charge. The file is about 3.5mb in size and requires the Adobe Acrobat PDF Reader which is available free from www.adobe.com if you don't already have that installed. This document has the full endorsement of the SanAntonioHams.org web site, and has been adopted for use by REACT International for training purposes within their local Teams. On December 15, 2006, the Federal Communications Commission (FCC) adopted a Report and Order and Order on Reconsideration (Order) that modifies the rules for the Amateur Radio Service by revising the examination requirements for obtaining a General Class or Amateur Extra Class amateur radio operator license and revising the operating privileges for Technician Class licensees. In addition, the Order resolves a petition filed by the American Radio Relay League, Inc. (ARRL) for partial reconsideration of an FCC Order on amateur service rules released on October 10, 2006. As of the end of 2006, this change has not been published in the Federal Registry and thus CW requirements are still in effect. Anyone taking the General Test prior to those changes being affected, will be required to pass the CW portion of the test as well, or return for another test session and pay another test fee, to perform a paper upgrade at that time. IMPORTANT NOTE: THIS CHANGE DOES NOT TAKE EFFECT UNTIL 30 DAYS AFTER IT HAS BEEN PUBLISHED IN THE FEDERAL REGISTRY. AS OF THE END OF 2006 IT HAD NOT BEEN POSTED TO THE BEST OF OUR KNOWLEGE. This is a collection of known, verified, FREE General Class Written Test training resources on the web. 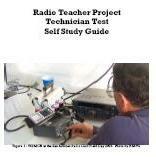 For a great General Class written test study manual for instructors and students check out http://telemetry.nmsu.edu/~shoran/radio.html and click on the General Instructor Manual or the General Student Manual links to the PDF Files. For a complete but concise General Class written test study guide for students check out N8KBR's study guide at http://studyguide.eqth.org/ and click on General Class License Study Guide on the left side of the page. For practicing the test go to http://www.kb0mga.net/exams/ this is a free site that tracks how you are doing on the test. Please give it a try. To have a practice test emailed to you go to http://www.aa9pw.com/radio/ and choose Email Exams on the left of the page. Class will cost $35 per student plus book. Includes continental breakfast, lunch and the testing fee for the exam given at the end of the day. Students supply their own copy of Gordon West's Technician Class book. Location: Lecture Hall, Bonilla Science Building, University of the Incarnate Word, 4301 Broadway, San Antonio, TX. CLICK HERE FOR GOOGLE MAP TO LOCATION. Visit AARO Web Site at www.aa5ro.org for more info.